In early 2014 The Printed Image engaged SMSC to help attain ISO 9001 certification. Aiming to lead the way in quality terms in the Irish POS Industry required a swift and effective programme that would deliver ISO without any significant day to day operational disruption. 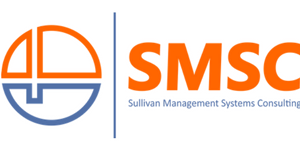 SMSC enabled us to create a flexible and streamlined management system that really suits our business. Our quality system which is constantly evolving and improving strongly underpins our ethos of continually delivering superior services to our customers. We were delighted when we became the first in our space to gain accreditation in November 2014 with strong commendations from the Auditors. The service was extremely professional, flexible and customer-focused. I have no hesitation in recommending SMSC. Due to increasing demands from clients to source timber that conformed to an accredited CoC scheme Morgan Timber decided to become FSC and PEFC Certified. Edel assisted us in doing so, she fully explained the process and developed a bespoke system ensuring implementation was painless and simple and that it was easy to operate and maintain. We achieved both FSC and PEFC Chain of Custody certification within a 12 week period.